Paper craft kits are a great way to find a new hobby, develop a new skill, or simply save time gathering supplies. 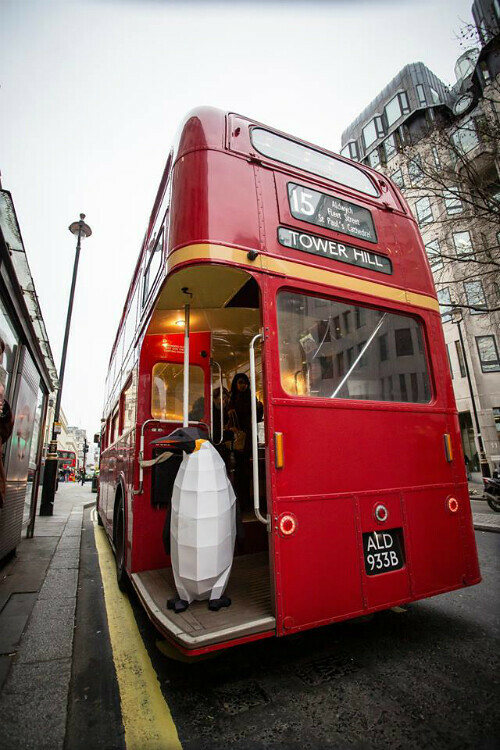 What's better than having the essentials at your fingertips, and not even needing to leave home to get them? For these very reasons, I've rounded up a batch of quality paper crafting kits that just might (at the risk of sounding overly dramatic) change your life in a very positive way! Wolfram Kampffmeyer's popular low poly model Etsy shop Paperwolf is always a reliable one for creativity so I had a look to see what's new. 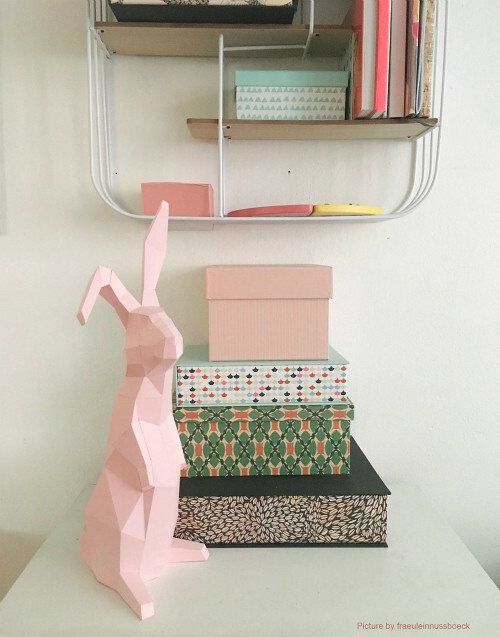 This rabbit model is an endearing one and timely with Easter on the way. On the Paperwolf Facebook page I discovered Wolfram and his many paper craft models have been involved in all sorts of interesting happenings in the past year. Not the least of which has been creating large(!) paper penguins for a Greenpeace UK project called March of the Penguins. (If you would like to make penguins, an adorable Mama and Chick pair is in the shop.) Wolfram tells all about the Greenpeace venture in this excellent interview. But I digress... back to kits. 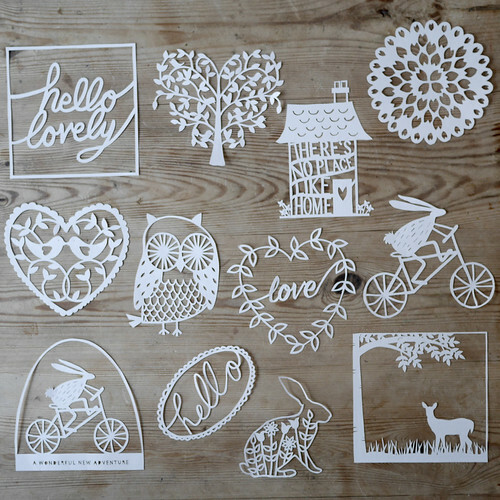 Lucy Dorothy Nichols of Etsy shop Lucy Dorothy in Fleet, UK sells a well-stocked paper cutting starter kit and individual templates that are available as both PDF downloads and printed paper templates. Note that shipping is not available to the U.S. however. The kit contains a dozen pretty darn cute printed templates... more rabbits :)... perfect to cut and frame as Easter decor, and as I said, they're available as downloadable PDFs too. 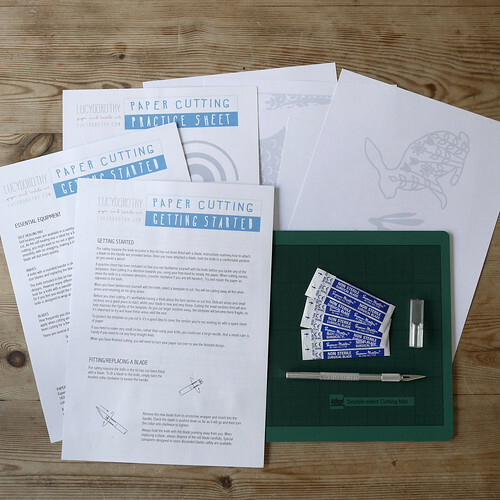 If you live outside the UK and are in search of a quality paper cutting kit, The Paper Artist Collective Shop ships worldwide and offers a Learn to Papercut kit that arrives with lots of nice supplies, as well as the option to purchase extra downloadable templates. 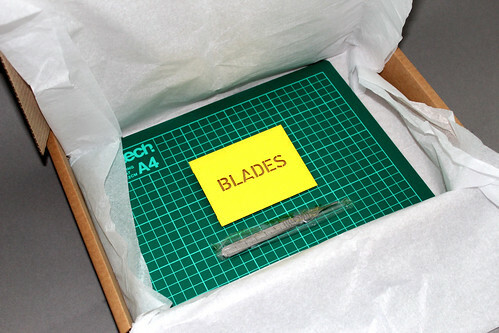 Included in the kit are five printed templates designed by Collective members, such as the one below. These five templates are available for individual purchase in the shop as well. My sister introduced me to Thunder Bunny Labs, aka Etsy shop Memorable Mats, in Michigan. 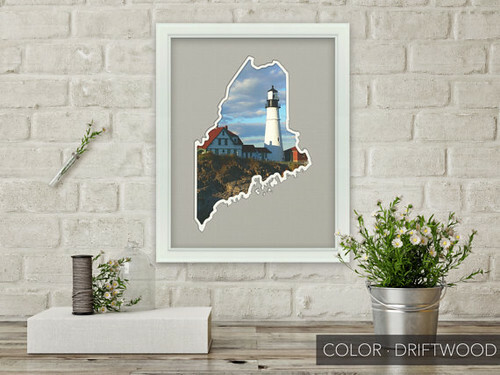 Let's say you take a trip to Maine and would like to have a framed reminder of your vacation into which you can plug your very own photos... you got it! 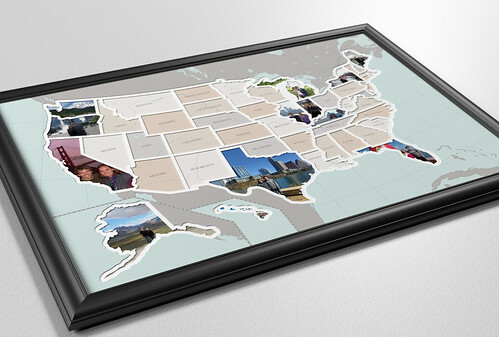 The photo maps have been digitally designed and are cut with a precision laser cutter. Individual U.S. state maps are available in a variety of sizes and mat color choices, as well as maps of the U.S., Canada, Europe, and the world. Choose your map via the Etsy shop and then head to Thunder Bunny Labs where you'll find a Map Maker tool and all the information needed to size your photos to perfectly fill your map. Etsy shop FoldedBookGifts in Amsterdam, The Netherlands, sells popular book folding patterns and also a folded book art starter kit for beginner folders. It includes a hardback book, a voucher for any PDF pattern/tutorial in the shop (choose after you receive the kit by mail), a step by step manual, folding tool, and metric ruler. 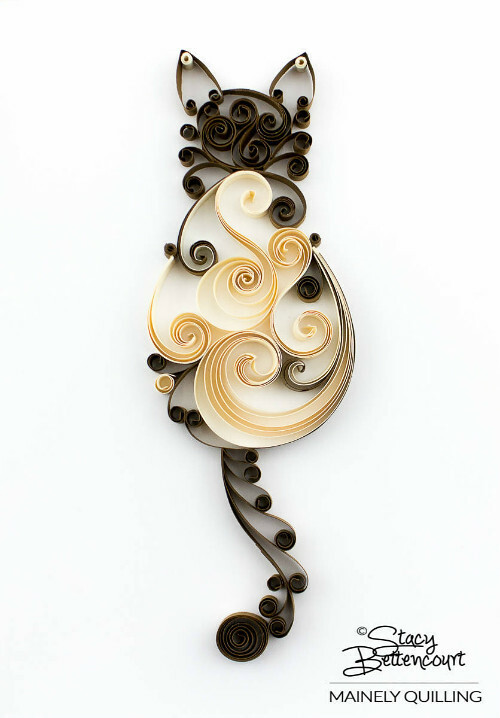 Tiny scrollwork cats quilled by Stacy Bettencourt in Maine have been extremely popular online. 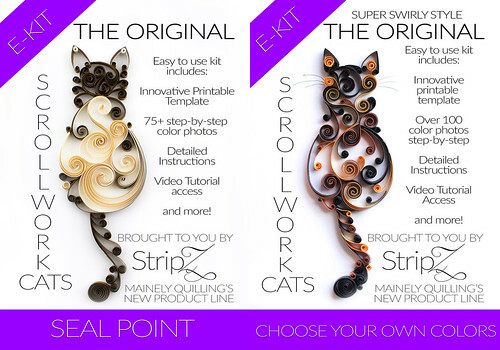 In fact, Stacy received so many requests about how to make the cats, she has created two e-kits that are available via her Etsy shop, Mainely Quilling (edit: shop is closed). Each scrollwork cat e-kit is filled with instructions and tips to help you quill your own cat. While seal point cats are featured, any color cat can be created. Included are a printable template to help you quill inside the lines, a detailed 75 page PDF tutorial that includes 70 closeup color photos, step by step instructions, access to an instructional video, and dozens of tips. Atanas Mihaltchev and Maria Valkova of Hartiatoys in Montreal, Canada sell designer paper craft toys, mobiles, and LED paper light kits. 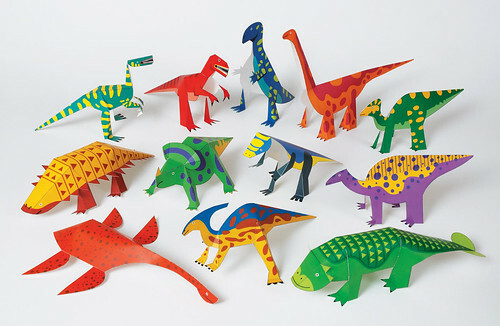 Their collections of playful and brightly colored cut-fold-paste toys include coolections such as fruits, firemen, tropics, insects, ocean creatures, and farm and polar animals. Designed for ages 6 and up, they are best crafted with adult supervision. Each model takes about 15 minutes to assemble. 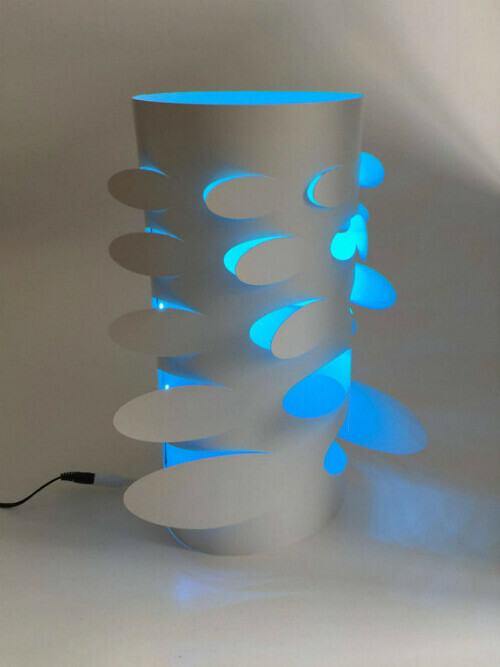 The Hartiatoys paper, cardboard and LED light kit (several designs to choose from) is very easy to assemble. 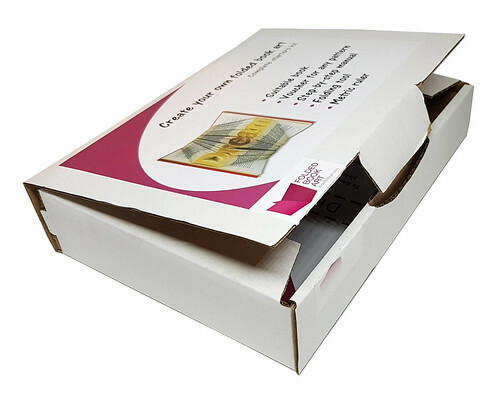 Shipped flat, one only needs to remove a double-sided adhesive tape to bond the two sides of the sheet. It doesn't get much easier than that to create a conversation piece! Etsy shop Nikki Cross Applesauce in Portland, Oregon is currently on vacation, but keep your eye on its return (submit your email address to be notified) to order their origami poppy kit. 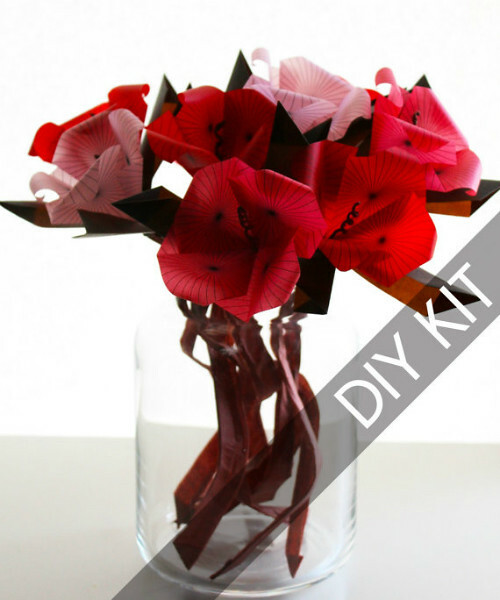 It includes materials to make a bouquet of beautifully translucent flowers, origami leaves, and paper stems. The special vellum paper radiates light and remains sturdy. 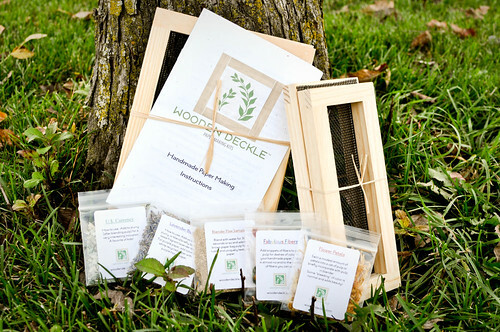 Wooden Deckle, an Etsy shop in Twin Lakes, Wisconsin is a gem that sells a variety of paper making kits, as well as paper making supplies, pressed flower kits, and pressed botanical art. The Classic Plus Paper Making Kit includes two wooden mold and deckle sets, hand crafted in the U.S.A., a comprehensive instruction booklet complete with creative ideas and recipes for making different kinds of handmade paper with varied textures, colors, etc., couching sheets, a sponge, and many fun paper making inclusions to add color and texture. Learning to recycle ordinary used paper into handmade paper is an ideal Earth Day project. Bookmarks, business cards, note cards, gift tags are just some of the ideas owner Liz suggests for your handmade paper and she offers several kits with molds and deckles that are sized correctly for each project. Molds and deckles can also be purchased separately. 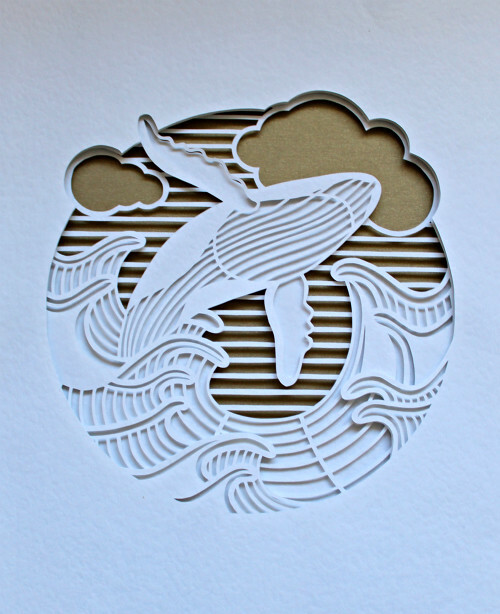 Sky Goodies in Mumbai, India is an Etsy shop that sells a pleasing variety of paper craft kits that arrive printed, pre-cut and pre-creased. 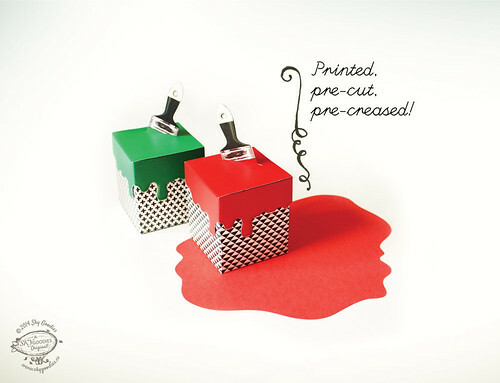 All you'll need to do is punch out the pieces, assemble and enjoy as colorful decor. 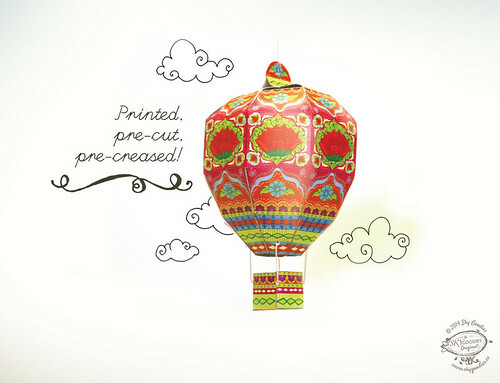 Their mini paint can gift boxes are mighty cute and the hot air balloon would be perfect in a child's room. Last but certainly not least, Alexander Kvasnicka's Etsy shop Katokami in Vienna, Austria offers fun model making designs that are available in both kit format and as instant downloads. 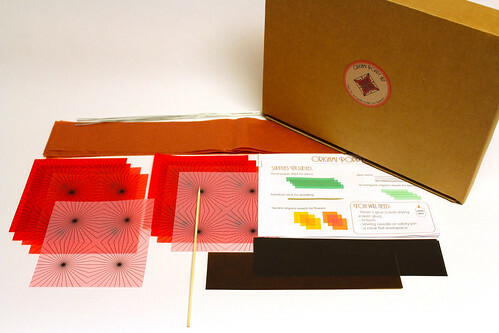 The vividly colored papers are handpicked, high quality paper sheets from Fabriano in Italy. 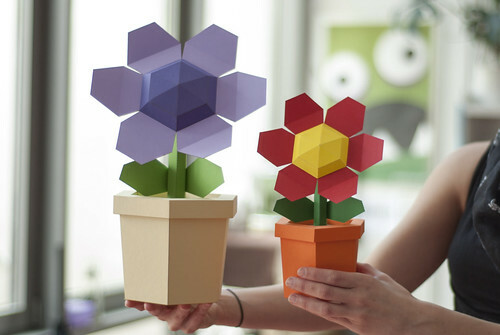 Make a flower pot via a kit that includes six printed colored sheets and instructions or print out the templates instantly on your own papers. 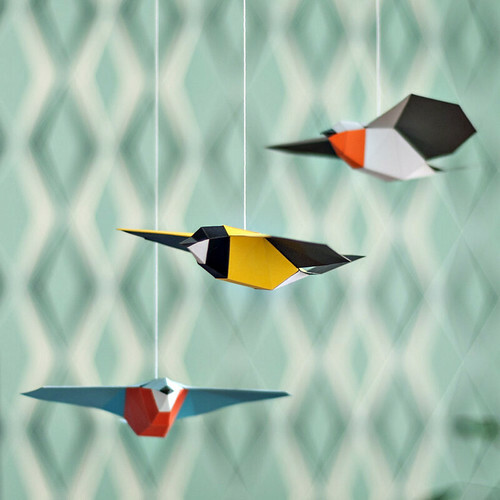 Songbirds can be used to make a pretty mobile. 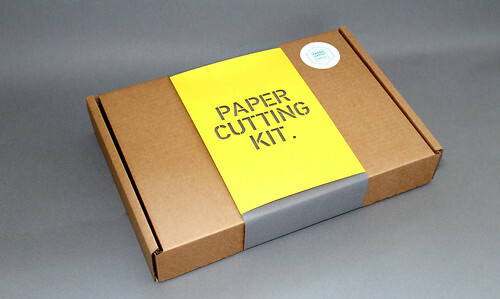 The physical kit contains three pre-cut printed birds, instructions, cords and a ring. A macaw kit is available as both a kit or instant download. Feeling inspired to get your craft hat on? So am I! 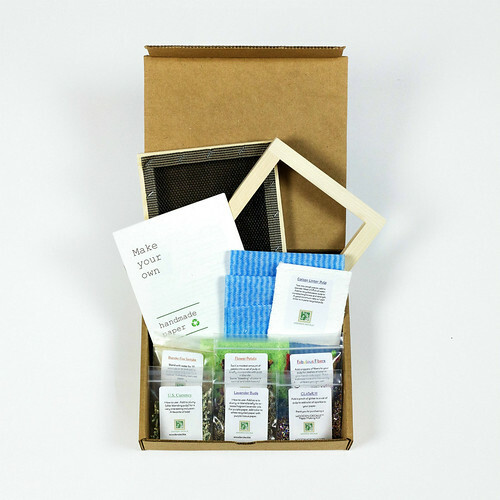 Thank you so much for including Wooden Deckle Papermaking kits in your blog about unique paper craft kits. Your kindness is much appreciated! I see our kits are among great, creative company! Well, there go my next two paychecks...What amazing things featured here! My pleasure, Liz! I've been admiring your kits for quite some time and am happy to have the chance to feature them. So glad you enjoyed the post, Rose Moon, and thanks for commenting! Please consider this my wishlist for the foreseeable future. Thanks so much for posting this info. I really appreciate seeing what's available in pre-cuts because I don't have a cutting machine! Unknown... good point! I don't either.